This pressing is absolutely phenomenal! RTI knocked it out of the park with this one. 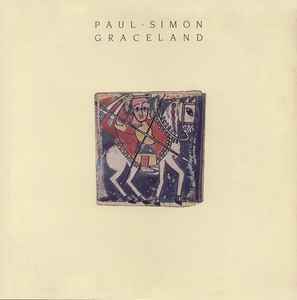 Probably Paul Simon's most successful solo album, it showcases his infatuation with the sound of South African township music, virtually unheard of outside the country in the 1980s. The album was hugely popular when released and was often played on radio. The sound quality of the LP is stellar, so alive compared to the dull and muddy CD. This Plays great on My system !, Way better than the CD edition. Does anyone know if this remaster is the same one as used on this pressing? I've tried two copies from Newbury-- both numbered in the +2k range-- both with uncleanable excessive surface noise. This is a good release. Great production. It sounds absolutely perfect. Recommended! I had the same problem with the digital download link. Upon closer inspection, the card says the offer is only good through December 31, 2015. Anyone else having problems with getting the mp3s downloaded? Site just says that the link doesn't exist..